Bernie Sanders has made the corrupting role of money in politics a centerpiece of his campaign. He has argued that because campaign contributions by the rich pay for political campaigns, they are able to control the political process. This gives us a political system that is very effective at serving Wall Street and the insurance and pharmaceutical industries. It is much less effective at serving the needs of ordinary people. 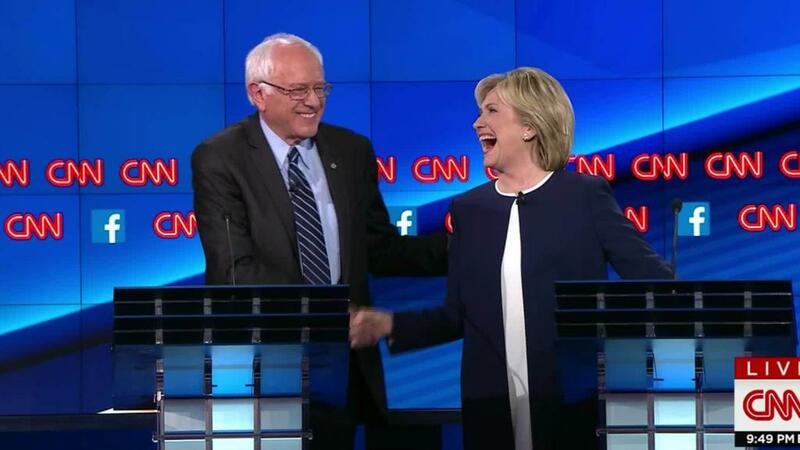 This has created an interesting dynamic in the race for the Democratic nomination. Secretary Clinton has flipped Sanders’ claim around and challenged him to show where she has reversed a position to serve the moneyed interests. This might be a useful campaign tactic, but it misrepresents the way in which money affects campaigns. Trade policy provides an excellent example. Over the last quarter century, the leadership of both political parties has consistently pushed trade deals that have worked against the interest of a large percentage of U.S. workers. This was not an accidental outcome from these deals, it was by design. Trade deals like NAFTA or most favored nation trade status for China were designed to put manufacturing workers in the United States in direct competition with low-paid workers in the developing world. According to standard trade theory, the predicted outcome of this competition is a loss of jobs in manufacturing and downward pressure, not only on the wages of manufacturing workers, but on the wages of less-educated workers more generally. You can tell the same story on a wide range of issues. The Wall Street bailouts were necessary to prevent a Second Great Depression. The politicians may have no clue why, but this is what their friends told them. The Fed has to raise interest rates, even though that means fewer people will have jobs, because there is some risk of inflation. The list can be extended at considerable length. When we actually see money being handed over to politicians from the wealthy, whether in the form of large speaking fees or a high-paying job, it is probably best to think of it as analogous to a Valentine’s present. No one loves their spouse or significant other because of a generous Valentine’s gift; rather it is a symbol of ongoing affection. If this sounds strange, let’s imagine a slightly different scenario. Suppose Bernie Sanders had spent four years in President Obama’s cabinet during which time he did everything he could to try to break up the big banks and have corporate criminals put behind bars. Does anyone believe Goldman Sachs would pay him $250,000 to recount his experiences?